"Baby style blogs" are now a thing. Dressing the elementary set has come a long way from cargo shorts and sequined vests. This is Kingston, star of Heart & Habit. 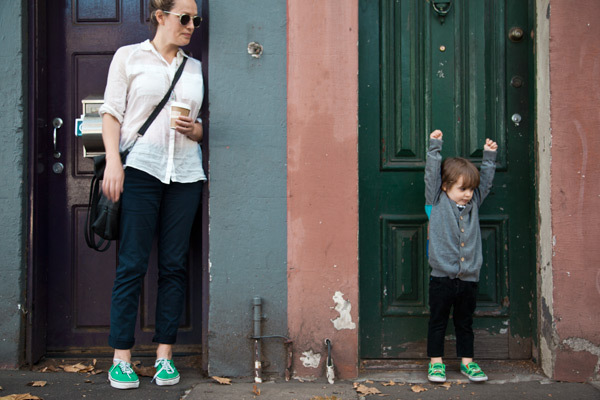 Kingston's mother writes a style blog to show off his wardrobe. This is his costar, Harlow. Their mother follows them around with a camera to capture moments like these. And also solicits "street style" submissions from readers. Such as 5-year-old Evan from Seattle. And Nereus from Greece. His favorite food is a green smoothie. Marshall here "writes" his own blog, called The Tiny Times. Where he also opines on travel, food, and culture. 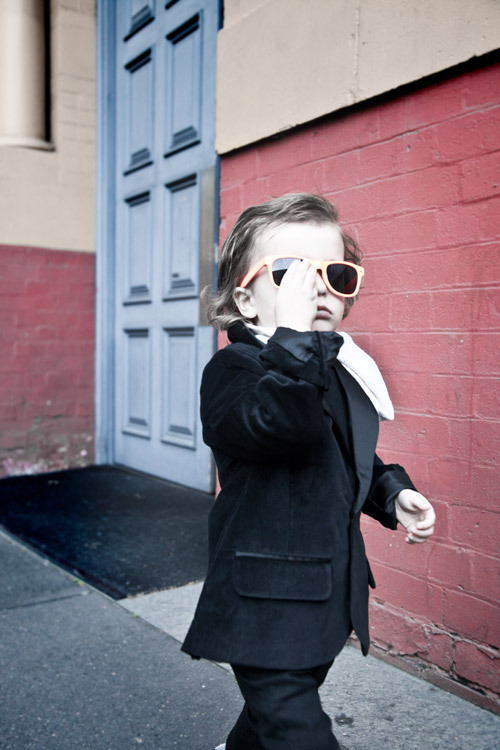 Ladys & Gents, started by two moms in the fashion industry, shows off more stylish kids. Suri Cruise has a lot of work to do.